Ananda Krishnan is the second richest person in Malaysia now. Over the years he has stacked up a remarkable pile fo undtendered government concessions that include a monopoly on racetrack betting , oil and gas franchises, IPPs, mobile telepphony licenses, private television licenses and redevelopment rights to a city center racecourse where the Twin Towers now stand. When during the Asian financial crisis the billions of dollars that flow annually from these state-provided franchises were insufficient fro Krishnan's need, Mahathir's government stepped in and had the state oil company buy out his towers development. Ananda Krishnan is a man who never got his hands dirty. All what he did in developing Twin Towers was hiring an American Architect to design and buy everything off-shore. This kind of dependency on state is seen in many developing nations. Even Slim Carlos of Mexico is similar, into Telcom and fails to compete internationally . This is why General Park Chun Hee of South Korea took dictatorship model to force companies to do business out of the country as much as possible. Even in Japan MITI forced companies to become export oriented. Across the Jalan P. Ramlee intersection, past UBN tower to the west and you will be at Shagri-La hotel. This is Robert Kuok's turf. Kouk is the man who modernized the colonial rentier system in Malaysia, accumulating plantations and commodity trading operations and winning early government concessions to trade process protected staple food. Worth an estimated USD 16 Billion , he is the richest Malaysian, albeit one who moved his base out of Malaysia in the 1970's and expanded his fortune through similar businesses all over south-east Asia. Indeed Kuok is a unique, regional exemplar of the south-east Asian Entrepreneur. About the most he has ever manufactured is a flour sack. Naturally he reminds me Daramadasa Mudalali and Nawaloka poly-sacks. Now you can see the similarity between Malaysia and Sri Lanka and at the same time differences with South Korea. We at Sri Lanka and they at Malaysia avoided manufacturing boom. South Korea forced its businessmen, the Chaebols to get into Manufacturing. The businesses were subject to harsh ruthless competition. We Sri Lankans, and they Malaysian moved into Services with all soft un-hurting way. Untendered offers for businessmen, and hiring every possible thing off shore. In 1970's our convention hall was done by Chinese and even now they repair it. Had we done it like Hyundai, we would be constructing similar things in less poor countries. Our dams , sluice gates and whole Mahaweli expedition was by foreign collaborations. Our high ways ( in real express ways ) were constructed by Chinese. Our tower, Nelum Pokuna the drama hall were by Chinese. If we did anything of our own we would have gone to less privileged nations and earn income showing and proving our work in our own soil. 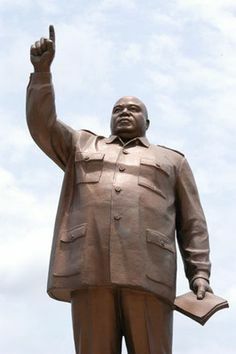 Even North Korea constructed their own Bronze colossal statues of Kim Il Sung, themselves and now doing similar statues in African countries. South Koreans developed high ways in 1970s. Had Sri Lanka braved to construct highways in 1970s? Malaysia the Muslim majority country developed separate Casino den Genting Highland in 1969. Had Sri Lanka reclaimed sea and developed Port City for Casinos in 1969? At least do we understand the difference now? Anyway next study will be on What went wrong with Mahathir and why SL followed and following the same model. I've heard in Sri Lanka, before 1978, there were some efforts to initiate manufacturing; for example, steel corporation, paper, and other state initiatives.... and some medium scale private manufacturers. And I've heard mr. Upali W. tried to manufacture cars also here (I guess Upali FIAT). I still can remember some radios made by 'Upali' (Unic or some similar name). So I guess there were initiative here but something went wrong big way. Most of the people put the blame on H.E. JRJ. i personally dont like to find a scapegoat for all our own failures.. So JRJ is not the scapegoat.. Even if so what are we doing now instead of correcting the failures..
Again one common character between General Park Chun Hee (South Korea) and Deng Xia Openg ( China) is both were military leaders leading their platoons in massive war operations. War Victorians know one thing... when you take the reins you cannot blame for past mistakes done by anyone.. So during their state rule they never blamed anyone for past actions but steered the country forward from where they started. We may talk about past of SL just to study. Since you talked about Upali Wijewardena I agree with you and I even mentioned his name when I talk abut Ananda Krishnan . Yes Upali was into manufacturing. He really manufactured Upali Fiat, Unic TVs, Radios and Tingle soap. Since you are interested in Sri Lankan manufacturing I would mention now that Anagarika Darmapla wanted SL to become a manufacturing nation. I really wanted to have a study on Upali Wijewardena and Anagarika Darmapla at the end. If you can refer Page 46 on wards you will find the effort done by Anagarika Darmapla on making SL a manufacturing nation. At the same time I am really happy to mention that Dr. Travis Perera of PIM is a researcher on SL entrepreneurs and no wonder that's his article which I recommend to read from above book. Mahathir Bin Mohamed is an educated politician who honestly believed in developing Malaysia.
" I decided to adopt Japanese and Korean strategies and methods for developing Malaysia" But what he did was completely different. Born and raised in Alor Setar, Kedah, Mahathir excelled at school and became a medical doctor. He became active in the United Malays National Organisation (UMNO), Malaysia's largest political party, before entering Parliament in 1964. He served one term before losing his seat, subsequently falling out with the then Prime Minister, Tunku Abdul Rahman and being expelled from UMNO. When Abdul Rahman resigned, Mahathir re-entered UMNO and Parliament, and was promoted to the Cabinet. By 1976 he had risen to Deputy Prime Minister, and in 1981 was sworn in as Prime Minister after the resignation of his predecessor, Hussein Onn. Most of the times the intellectuals get programmed by the books they read. This happened to Mahathir Bin Mohamed who had genuine interest in developing his country. He read Kenichi Ohamae's The Border-less World which preach the merits of globalization and allowing globalization. He asked his underlings to read the same book. Mahathir found hismelf a new and influential friend in the McKinsey management consultant, the futurologist adn author Kenichi Ohmae.Although Japanese, Ohmae was a vehement critic of old-school dirgiste Japan, he looked forward to a globalized world in which national identity would be unimportant. Open Markets provide equal opportunity. This sanguine outlook was an early conceptualization of the view now associated with Thomas Friedmans 2005 book The World is Flat. Despite its being entirely at odds with the industrial polices that made Japan rich. Mahathir's honest belief on Ohmae and his book was such he forced all around him to read the book and Asmat Kamaludin, woh became the top bureaucrat at Malaysia's Ministry of International Trade and Industry in that period , recalls " You felt safe if you were walking around with that book. " Contrast to Mahthir's selections for reading General Park Chun Hee as well as earlier Japanese intellectual's selection was Fedric List, the writer who made German a successful manufacturing nation. His book was translated to Japanese, and then to Korean and was widely available to public to read. Fedric List rejected " free market evangelism" coming from Britain and said that Britain's opportunism to exploit its advantage over the nations . Frederich List believe in free trade but only once manufacturing capabilities are developed. Germans had two thesis to select. Either Marx or List. Germans selected List. In return they became a great Industrialized nation. Japan copied them. South Korea copied from German and Japan. Malaysia asked from Japan and Korea to develop them. Fredric List never believed in laissez-faire or let things happen alone. 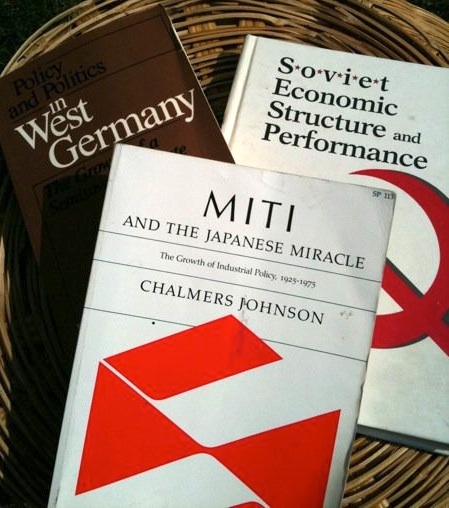 Mahathir could have read the first of the great academic analyses of Japanese industrial policy, Chalmers Johnson's MITI and the Japanese Miracle which published in 1982 just as he launched Look East. Comparision of Malaysia and South Korea is worthy from many angles. Following is the factory layout of POSCO, the South Korean steel factory. The location is almost in a harbour and factory is U shaped where raw materials and end products can be met with shipping requirements from different ends. This shows that from the inception factory is designed to export. Compare that with Perwaja Gurun Steel factory of Malaysia located mid of the country where one-side is a jungle. From the inception factory is not designed to export. Thanks a lot for your book titles. I am in to reading most of them though couldn't locate the one by Mathew J manimala which oncludes about Anagarika Dharmapala. For the matured people ask them to read books on Japan, Germany, and South Korea.. When Mahtahir came to power both Malaysia and South Korea was in equal level of GDP. But when Mahathir resigned in 2003 South Korea's GDP was three times of Malaysia. The University educated head master's son knew that, in order to compete, Malaysia had to engage in industrial learning, but he failed to organize the process anything like as effectively as the peasant-born Park Chung Hee. When Mahathir stepped down in 2003 Malaysias GNI per capita was no longer the same as Korea's -it was USD 4,160 versus USD 12,680 in Korea. South Korea went to Steel Factory with ships and cars in mind. Malaysia went to steel factory with cars in mind. South Korean government did Steel Factory well neglecting World Bank reports to abandon operations and the success of POSCO was one secret behind the success of Hyundai cars and other vehicles. Failure of Perwaja one reason to assign for the failure of Perodua and Proton. Its worth to study the economic history of other countries as it sometimes directly link with some shares we invest here in SL. Why did Malaysian steel factory fail and why did South Korean steel factory become successful? Both POSCO (KOREAN) AND PERWAJA (MALAYSIAN) had the same Japanese partner assisting. That's Nippon Steel. When Japanese engineers gave plans for POSCO to develop the factory at Pohang, POSCO and Korean government paid BHP the Australian mining firm to check the plan. But Mahathir took no precautions. Nippon Steel had zero operational experience of the gas technology it is selling to Malaysian steel. When it comes to Koreans, they rejected the initial fully computerized operations suggested for POSCO stating that they want to go manual in order to study the operations of steel manufacturing. POSCO learned nuts and bolts of operations in steel before later moving into advanced technologies. But Malaysia straightly went to more advanced operations without understanding even the basics of operations. Finally what happened to Malaysian steel is, instead Malaysians learning the art of steel making from Japanese, Its the Japanese Nipppon steel that learned from Malaysians at the cost of Malaysian Ringgit.
" I think Mahathir got taken for a ride by Japanese. " This is what happen when you take things for granted from experts. ඩුබායිහි මැරියට් හෝටලයේ හිමිකරු නන්දන ලොකුවිතාන සහ තවත් පුද්ගලයෙකු අතට වන දුරකතන සංවාදයක් ජාතික සමගි පෙරමුණේ නායක අසාද් සාලි මහතා විසින් මාධ්‍ය වෙත හෙලි කරනු ලැබීය.